Until recently, I've always been a boneless, skinless chicken breast kind-of-girl. But those boneless, skinless breasts are abnormally huge, which makes me wonder just what that chicken did in its spare time. Was it a bodybuilder on steroids? Those huge chicken breasts are also really expensive, and, frankly, I've been a little bored with them. I've been branching out lately in more ways than just vegetables. I've also been trying different ways to prepare chicken. This weekend, I made Terikyaki Chicken Thighs. Yes, it's dark meat, and yes, it's got a bone in it! Don't be alarmed. 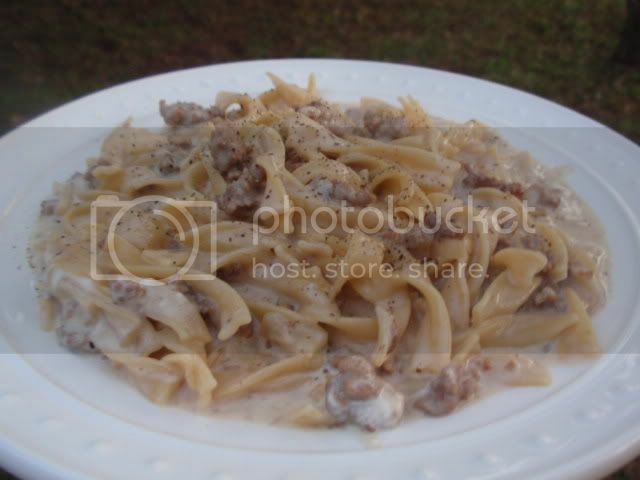 This recipe is easy, affordable, and full of flavor. Combine the soy sauce, sugar, broth, vinegar, garlic, ginger and red pepper flakes and stir until the sugar dissolves. Transfer to a resealable plastic bag and add the chicken. Seal the bag and marinate the chicken in the refrigerator, turning once, for 1 hour. The chicken can be marinated for up to 4 hours. The original recipe instructs you to cook the chicken under the broiler. I cooked mine on the grill. Heat grill to high. Add the chicken to sear and then lower the flame to finish it off. Turn one side down as low as you can and keep the other side a little warmer. Lower the lid. The chicken pieces show good grill marks and the meat has just started to turn white. The skin should start to crisp and the fat will just be beginning to drain. Watch the chicken closely to avoid flare-ups and burning. From here you will need to move the pieces to cooler parts of the grill. Grill an additional 10 to 14 minutes. 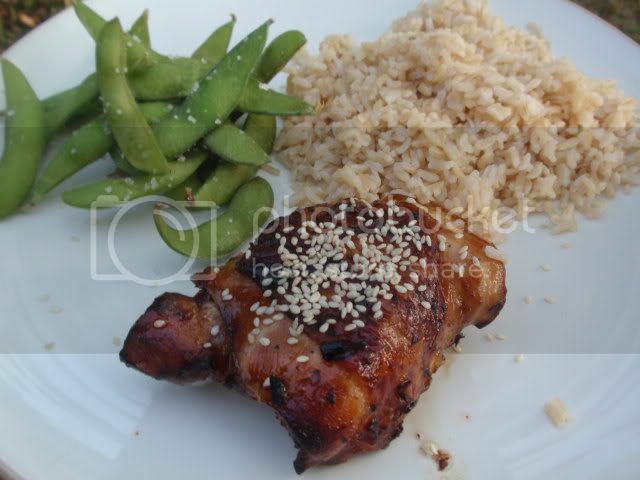 Top chicken thighs with toasted sesame seeds. I've always been one of those grocery shoppers who buys the produce she wants, when she wants it - apples in May, citrus in June, tomatoes in February. But recently, for one reason or another, I've become more aware of the impact this creates for our environment and the benefits associated with eating locally grown produce when it's in season. The change has been slow and steady. It started with an interest in the local farmer's market, then JB's mom starting a garden. I went with a friend to a u-pick blueberry farm and found a neighbor who sells farm-fresh eggs from her home. For my birthday, my mom bought me a share with a local community supported agriculture (CSA) with Snow's Bend. Here's how it works: Snow's Bend Farm offers a certain number of shares at the beginning of the season. 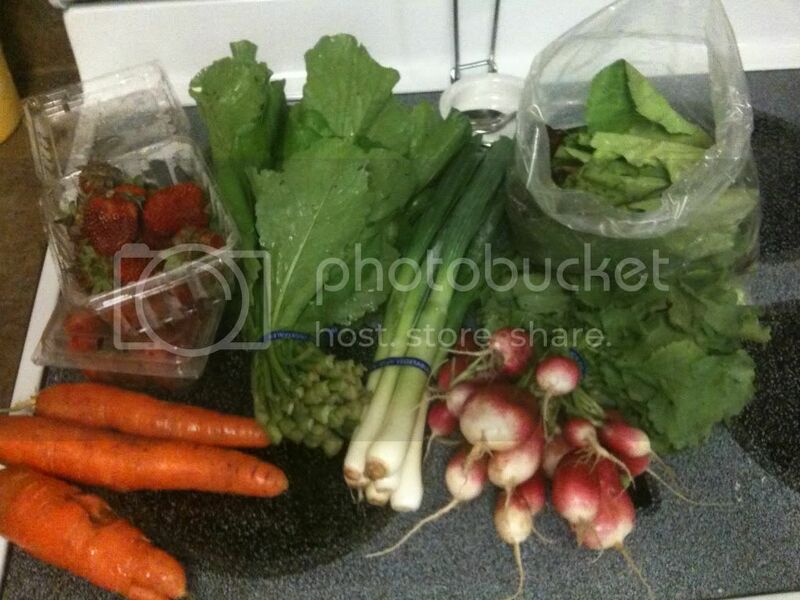 I buy a share, and once a week for the growing season, I get a box of fruits and vegetables directly from the farmer. I split my share with a friend, and the cost comes to approximately $10 a week. Half of the share is more than enough veggies for me and JB. We're only three weeks in, and we've already tried new vegetables and several new recipes. We've been very pleased with our CSA experience and highly recommend it if you're considering it for yourself. Check out Local Harvest to find a CSA in your area. We're eating more fruits and vegetables, and our carbon footprint has become a little smaller. My favorite part of the CSA box has been strawberries. I love homemade jam. The grocery store variety tends to be too sweet, and it's hard to tell if there is actually any fruit in it. When I came across a recipe for Strawberry Refrigerator Jam, I knew I had to try it. 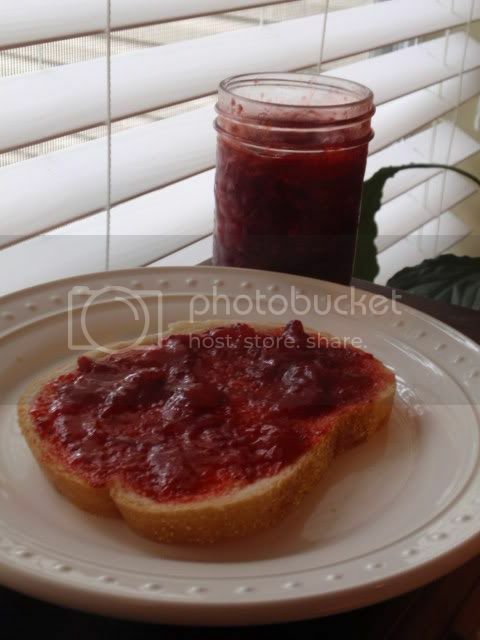 This jam is wonderful, not overly sweet, and you can see the fruit and taste the flavor of the strawberries. Set out a bowl with ice water in it and place a smaller bowl inside. Set aside. Combine the strawberries, sugar, and lemon juice in a 12-inch skillet over medium heat. Simmer until the mixture begins to become syrupy, 10-15 minutes. To see if the jam has cooked long enough, place 1/2 teaspoon of the jam in the small bowl and let it sit for 30 seconds. Tip the small bowl to one side. If the jam runs, return the jam to the skillet and continue to cook 2-5 minutes longer and then test again. If the jam moves only slightly, it's ready. Cool the jam to room temperature before storing in the refrigerator for up to 2 weeks.